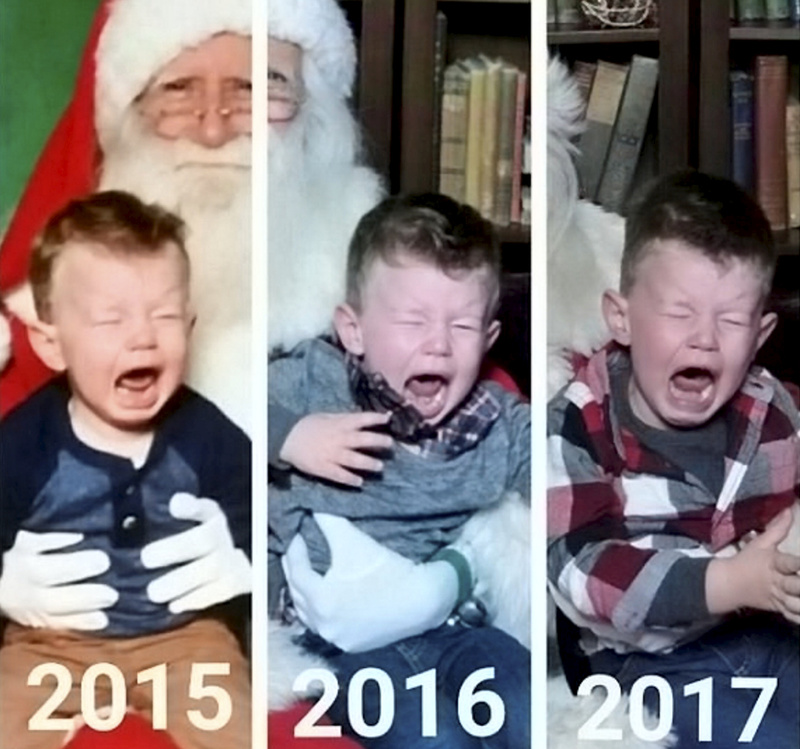 These hilarious pictures show kids who burst into tears in Santa’s grotto – including one lad who’s blubbed every visit for three years. Youngsters traditionally visit Grottos and stare in wonder and joy at Father Christmas as they tell them what they want in their stockings. But there boys and girls have instead turned on the waterworks. Vienna Sather, 18 months, Alberta, Canada – one of the children whose meeting with Santa didn’t result in the happy childhood memory photo their parents were hoping for. The images, found using the #Santafail hashtag on Twitter and Instagram, show some of the kids reaching out for their mums and dads to take them away. Deaf Samuel Spencer, pictured at one years old, attempts the sign language for ‘Help’ in a desperate bid to escape Santa. 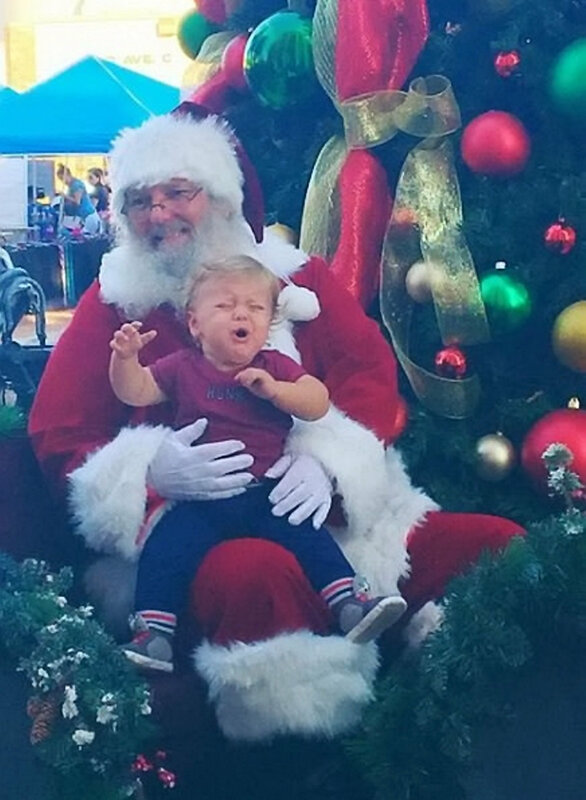 Deaf toddler Samuel Spencer, now 13 but pictured aged one attempting to use the sign language for ‘help’ – one of the children whose meeting with Santa didn’t result in the happy childhood memory photo their parents were hoping for. He is now 13 years old but mum Kerry still shares the snap on social media every year. Since it was posted on December 5, it’s gone viral and been re-tweeted more than 8,000 times with over 30,000 likes. Kerry, from Maryland, USA, said daughter, Lily, 11, is also “creeped out” by Santa. 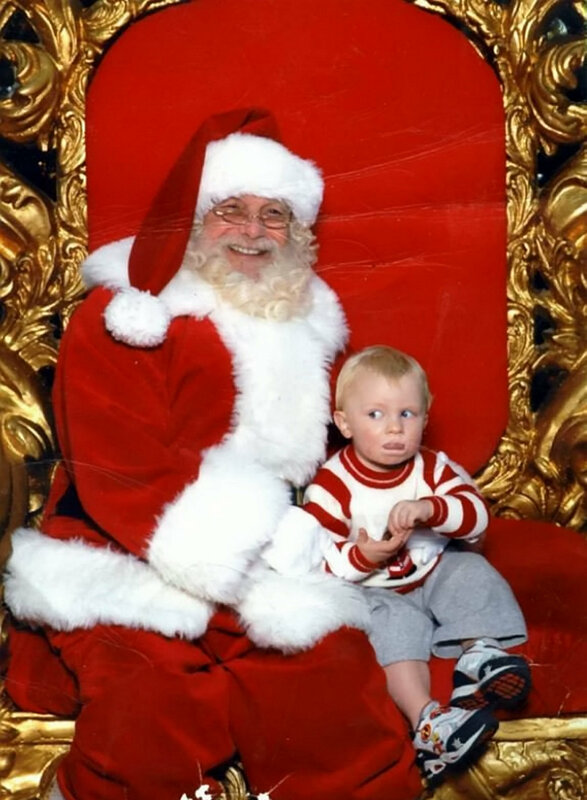 Niko Argiropoulos from New Jersey, USA pictured on Santa’s lap over the course of three years – one of the children whose meeting with Santa didn’t result in the happy childhood memory photo their parents were hoping for. 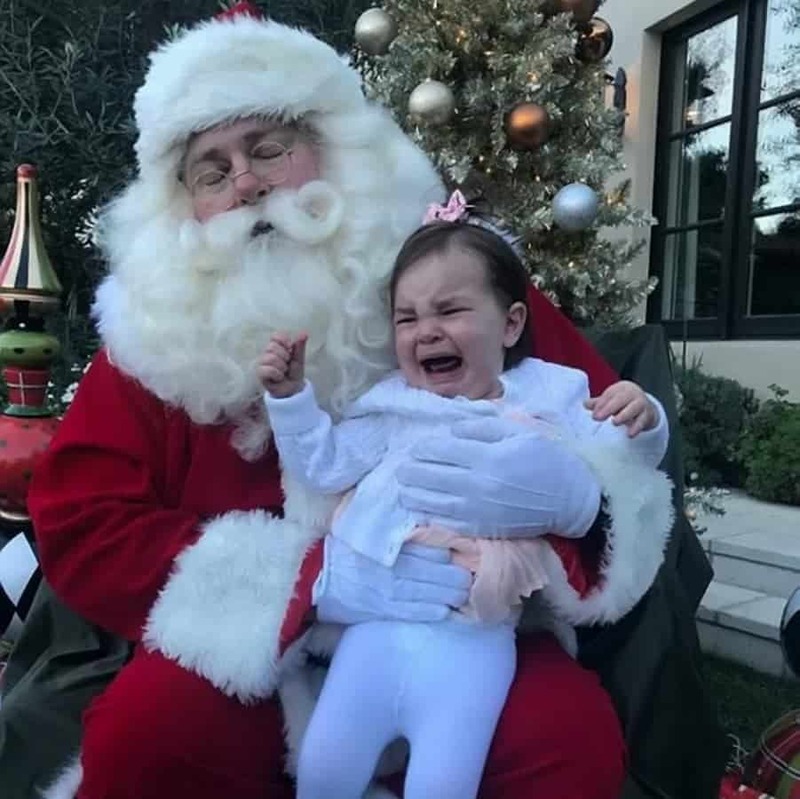 One poor lad, Niko Argiropoulos, is pictured crying on the same Santa’s lap three years in a row. The three-year-old from New Jersey, USA will be worried about his next visit to Moorestown Mall. 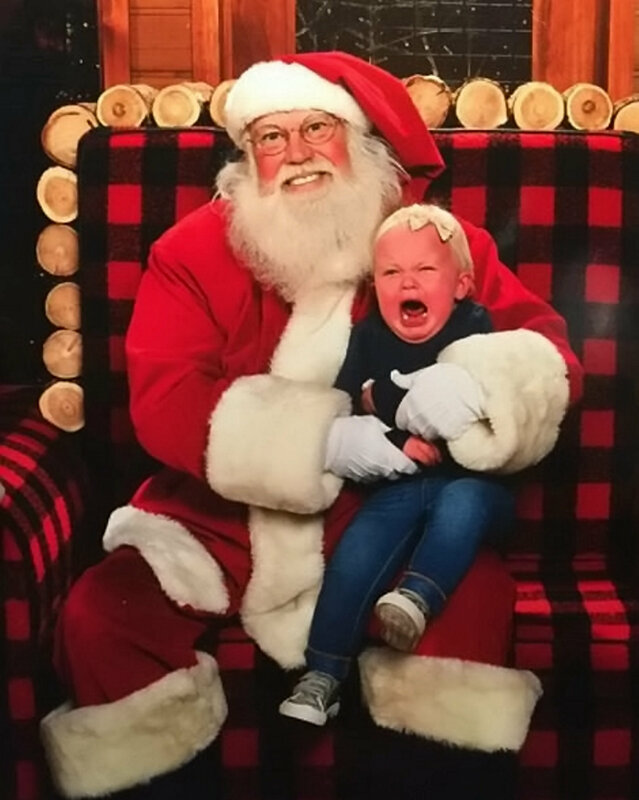 Kameron Philip Nugent, 11 months, Katy, TX – one of the children whose meeting with Santa didn’t result in the happy childhood memory photo their parents were hoping for. Dani Meisels, one, looks traumatised as she sits on Santa’s lap at a preschool gingerbread house party in Los Angeles. Santa, on the other hand, looks like he has fallen asleep.